Navy Retired Stick Flag - 4x6"
Show your navy pride by flying a US Navy flag or banner from Gettysburg Flag Works! 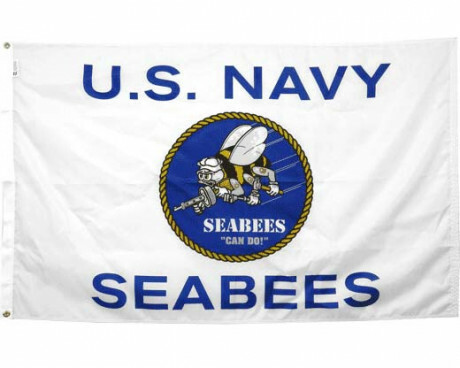 We carry a wide collection of US Navy flags and banners for sale. 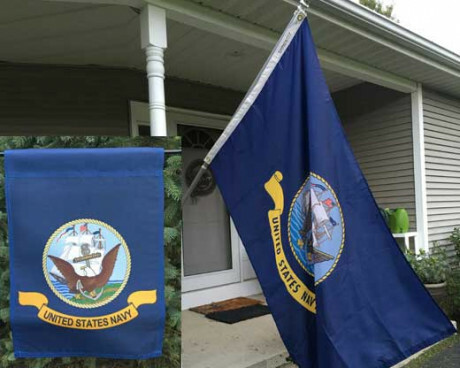 Our top-quality Navy flags are the made to the highest standards in the USA and are available in a variety of sizes, materials and mounting options. 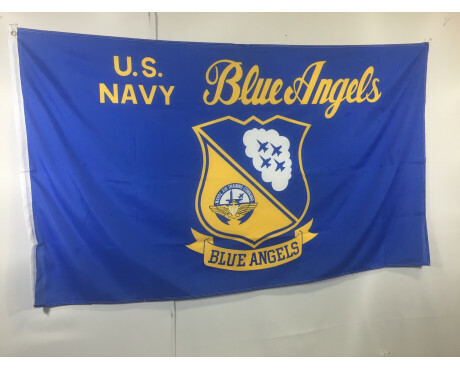 If you can’t find what you’re looking for, we can also create the perfect custom navy flag just for you! 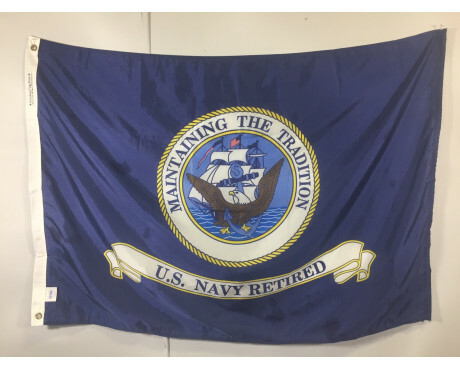 We are your one stop shop for everything you may need to celebrate the legacy of the US Navy. 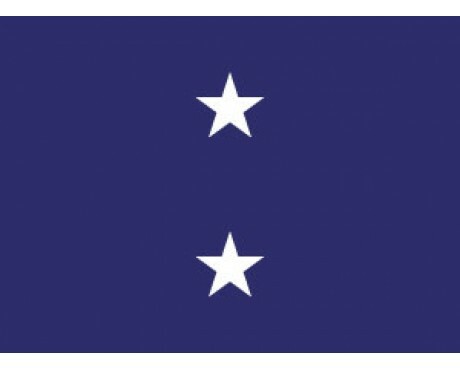 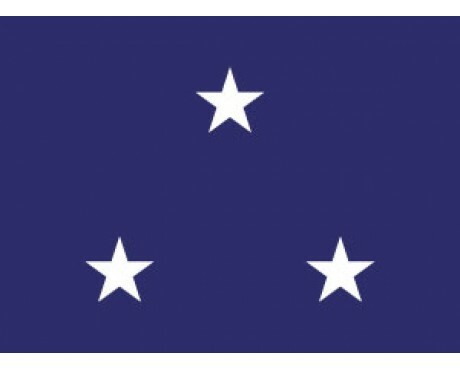 Shop Navy 3X5 flags and navy 4X6 flags . 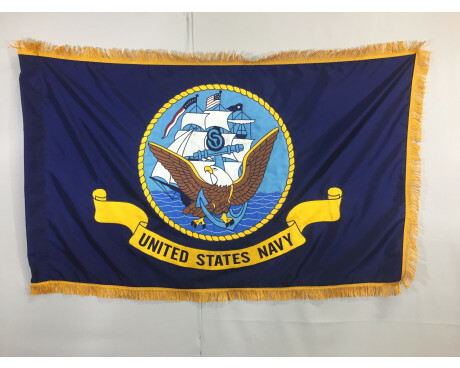 From outdoor Navy flags, to indoor parade Navy flags, stick Navy flags, Navy medallions and everything in between, we have everything you’re looking for to help you show your pride and support! 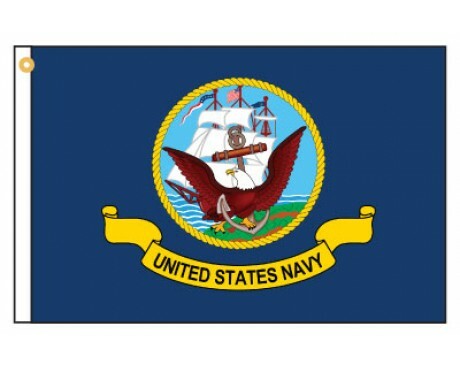 Looking for Navy flags at wholesale prices? 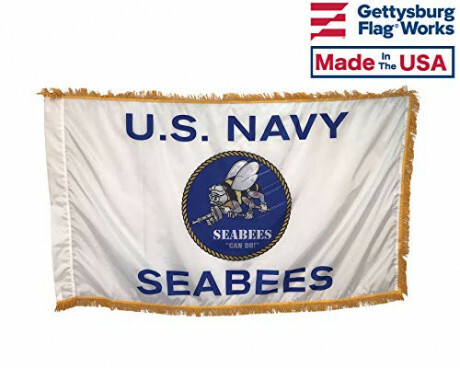 When you buy bulk quantities of navy flags from Gettysburg Flag Works, you buy more and pay less! 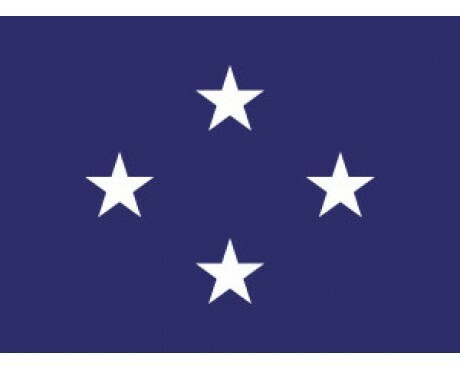 Contact us to find out more. 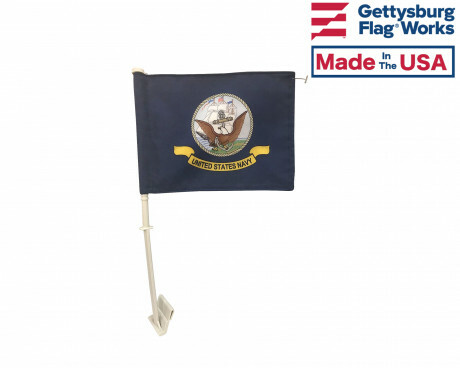 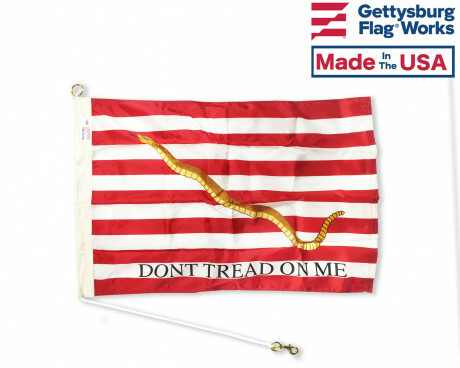 Gettysburg Flag Works offers Navy flags in our high quality, colorful nylon, as well as heavy duty polyester. 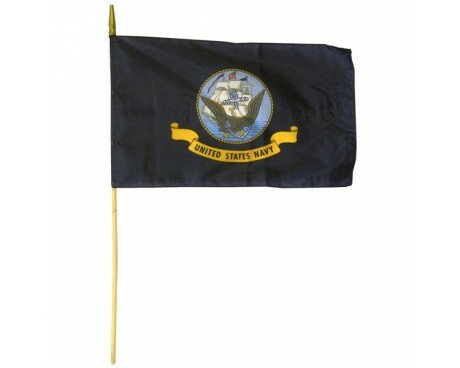 We offer Navy flags in a variety of sizes to fit any need, from small stick flags to large outdoor flags. 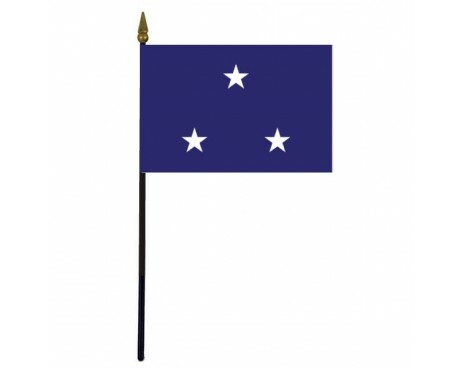 If you're planning on a Navy flag, you might want to also consider a flagpole to mount it. 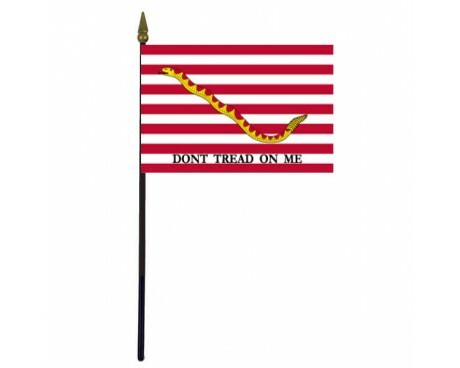 Customers who bought Navy Flags were also interested in Navy grave markers . 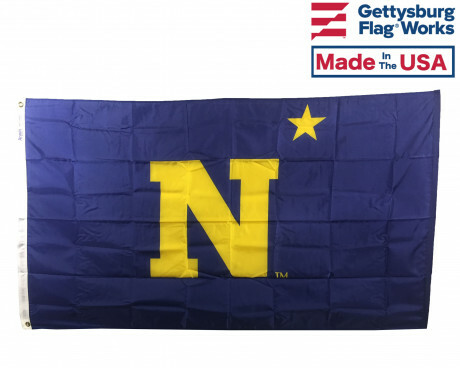 Shop our collection of navy flags now to honor the brave men and women who served. 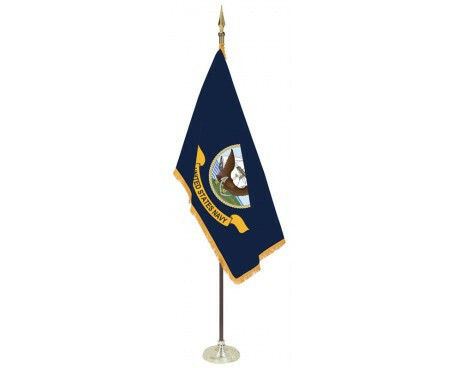 If you have any questions, feel free to call us at 1-888-697-3524 or send us a message online. 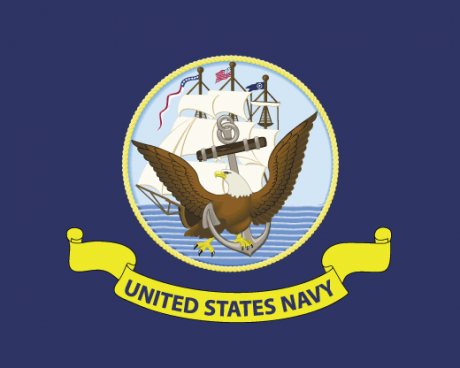 We look forward to assisting you!